Our range of products include polypropylene monoblock pump, pp pump, polypropylene pumps, horizontal polypropylene bare shaft coupled pump, polypropylene bare pump and polypropylene pump. Our range of Polypropylene Monoblock Pump are designed and manufactured by our team of technical experts who have in-depth understanding of the components and the functional features of these pumps. 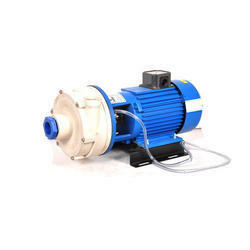 Small size bare / mono bloc poly propylene pumps. Fitted with seal / gland or Teflon bellow mechanical seal. Shaft is of SS-304 / 316 with ceramic coating (Teflon coating optional). 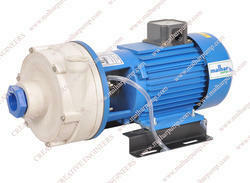 Very economical models as pumps are made with minimum parts. 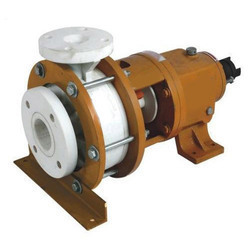 Our range of PP Pump are designed and manufactured by our team of technical experts who have in-depth understanding of the components and the functional features of these pumps. Our aim is to attain maximum level of customers and this is done by offering Polypropylene Pumps as per the market demand. 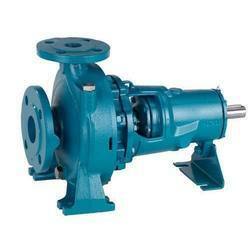 The entire range of pumps offered by us is manufactured with the aid of latest technology and sophisticated machines. We ensure that the pumps offered by us cater to the needs of effluent treatment plants, water treatment plants, drugs & pharmaceuticals, fertilizer plants and others. 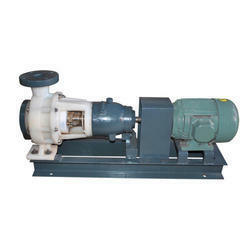 We make available these Polypropylene Pumps to the customers at highly competitive prices. Capacity - Q- Up To 300 M3/Hr. TDH H - Up To 65 Mtr. Caustic soda plants :- Chlorinated Brine , Conc , HCL , Dilute H2SO4 etc. PHOSPHORIC Acid Plants :- H3PO4 , H2SO4 , HF and their mixtures with or without solid (gypsum) up to 40% conc. Gas Washing Plants :- Scrubbed Liquids containing CL2 , BR2 , F2 , I2 , SO2 , SO3 , CO2 , NH3 , Gases etc. with solids replace Hast Alloy. Our range of polypropylene pumps are designed and manufactured by our team of technical experts who have in-depth understanding of the components and the functional features of these pumps. 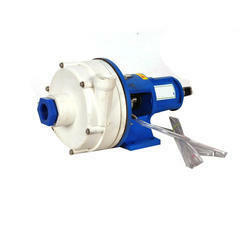 Small size bare / monobloc poly propylene pumps. Our range of Polypropylene Pump are designed and manufactured by our team of technical experts who have in-depth understanding of the components and the functional features of these pumps.